Our recently announced OMA / Rem Koolhaas & David Gianotten lecture, presented in partnership with Melbourne School of Design and The Embassy of the Kingdom of the Netherlands, was met with high demand. 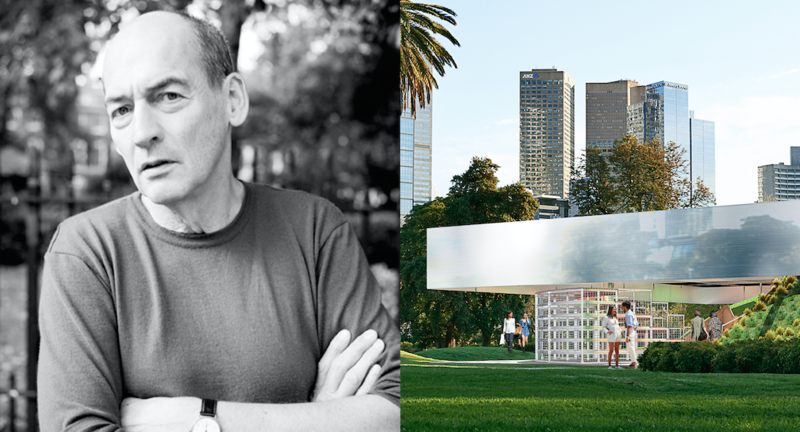 Due to a staggering amount of interest, we are pleased to announce that Melbourne School of Design will now be facilitating a live stream of this highly anticipated event, viewable anywhere in the world, and that MPavilion will be hosting a special screening of the lecture, as it unfolds in real-time, at the OMA-designed MPavilion 2017 on its opening night. We invite you to join us in celebration of our forthcoming season and MPavilion 2017—OMA’s first completed architectural project in Australia—to witness a screening of OMA architects, Rem Koolhaas and David Gianotten, from within the extraordinary amphitheatre they have designed. See you in the gardens! This event is part of the ‘MPavilion 2017 International Program’, supported by the Australian Government through the Australian Cultural Diplomacy Grants Program of the Department of Foreign Affairs and Trade. This event has now concluded. Head to our library to view the video or hear the audio in full.